I haven't posted anything new of my own. Interesting how, amidst our own shortcomings, we can look at another's actions, consider it a shortcoming, and be the self-righteous judge. Okay, now replace the "our" and "we" in that previous sentence with "my" and "I." O.K., I must be a blog addict because I feel the same way...do you know of any therapy for this problem? Haha. 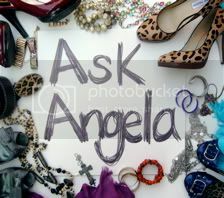 Nice Angela, and I so do the same thing. I totally know you are talking about me since I KNOW that I am your FAVORITE blogger of all (hee-hee ;^) ). I will post something new tomorrow just for you....k? That's why I use google reader. ;) Takes some of the frustration out. I love it and couldn't do without it. Completely agree here--I was just thinking about how I need to post something new...writer's block is killing me! Then I always think: "Hey, they can go over some of the favorite posts and that should hold 'em". Ugh.